You won't believe all I got done while "camping" this week! Details tomorrow on BOM-day. In the meanwhile, a few new things for the stash! First up, where did I buy this cute kit and why haven't I broken it open yet? The pattern is "Hanky Panky" by Abbey Lane Quilts. The fabric is Savanna Bop by Thomas Knauer for Andover Fabrics. I must have been thinking of a baby quilt, because the fabric has darling giraffes and elephants on it. It was buried on the sewing room counter, and I can't remember where or when I bought it! Next up, a couple of scores from the Berthoud Outdoor Quilt Show last weekend. Berthoud is also home to one of the most fun quilt shops ever, Laughing Ladies Quilting. Really, these ladies know how to have a good time. Remember my "Crazy for Shelburne" quilt? I started it in April, thinking it would make a good anniversary gift for my brother and his wife's 50 wedding anniversary. That was before I realized the Farmer's Wife quilt would be even more perfect. Laughing Ladies had this fabric on sale, part of the Crazy for Shelburne collection. Enough to back my "Friends and Companions" Sew-Along quilt. 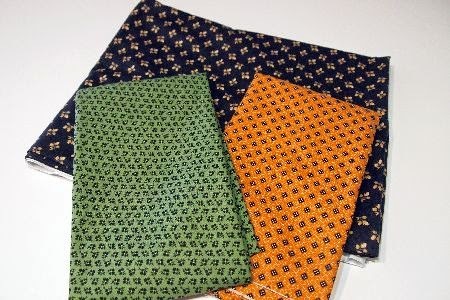 And here are the last three fabrics I needed for that quilt. 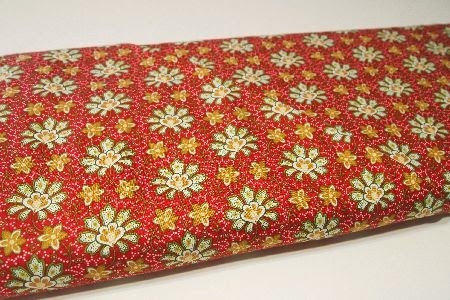 The Sew-Along begins August 1, details on the Marcus Fabrics website. 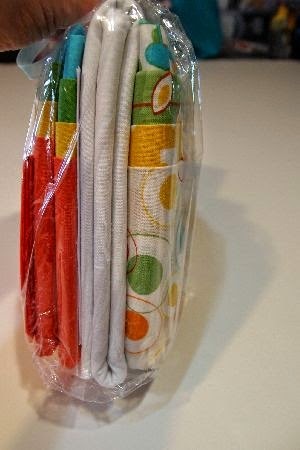 Here's some more fabric that has been "aging" on the counter. This is fashion fabric, not quilting fabric. It will make two lovely summer tops. If I can just get in the mood to sew garments, not quilts! 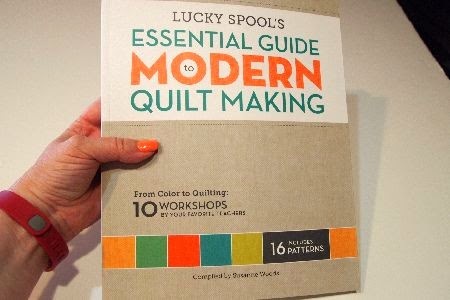 Lucky Spool's Essential Guide to Modern Quilt Making. Kari wrote the very first chapter, all about color. I bought an extra copy for a future giveaway, so keep your eyes peeled for the giveaway post! Here's a real oldie but goodie. I know I bought this to make my courtesy nephew, Zeb, a "bug quilt." Well, Zeb graduated high school last year. So this kit needs to find a home with someone who either a) really likes bugs or b) has a child, grandchild, niece, or nephew who really likes bugs. If you'd like to give this kit a good home, here's the deal: I'll give away the fabric, free. The recipient just has to pay postage. 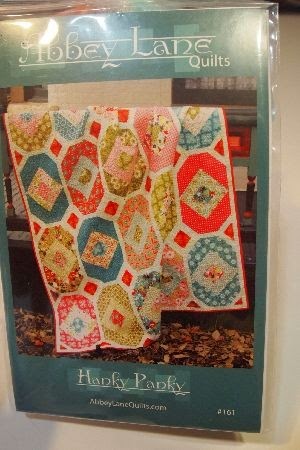 Anywhere in the world, just pre-pay the postage via PayPal, and the featured quilt kit is yours! Comment with your PayPal address and zip code. I'll respond with an invoice for the postage, and "Bug Jar" will be on its way to you! Tomorrow is the 10th day of Summer. And yes, I have 10 Shoo Fly blocks sewn. Come back to see how they look! This would make a perfect quilt for my DGS3, so fingers crossed. If I'm not lucky, thanks anyway for your generosity. 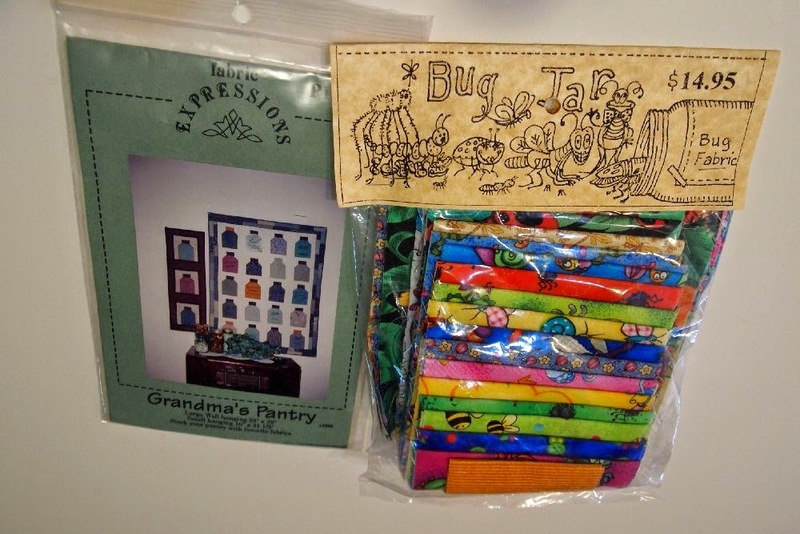 I see you have several already entered to win the bug quilt kit. It would be a great quilt to make for the grandson. Congrats to the winner! "You're it" is directed to you, fdfca! You're it, because you're the first person to include your PayPal address! Please reply with your zip code (postal code) so I can calculate the shipping to you. The giraffe and elephants would make such a cute quilt. I love making baby quilts and would love the bugs too. You have some great fabric there. Can't wait for the sew-along and to see what you so with it. And the shoo-fly blocks...really? 10 already?? What a whirlwind the last week and a half have been. Good thing I have the rest of today to finish my June UFO and get caught up on my shoo-flys. 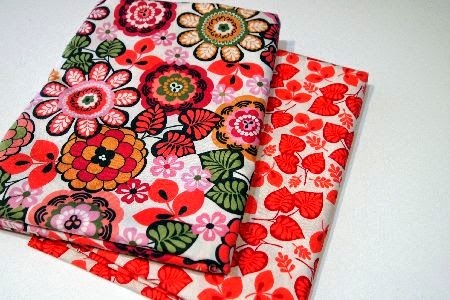 Maybe I'll even get to work on the quilting for my Spring BaD! Stitch@gbta.net 67565 my Brandon will be two next Monday and is all boy! He loves bugs and dirt and more bugs :-) I'd love tio win this for him! Fun fabric additions. Those fabrics will make cute tops. I'm intrigued by garment sewing but I think I'll have to save trying that for a different phase in my life. And thank you for mentioning me! You are the best!